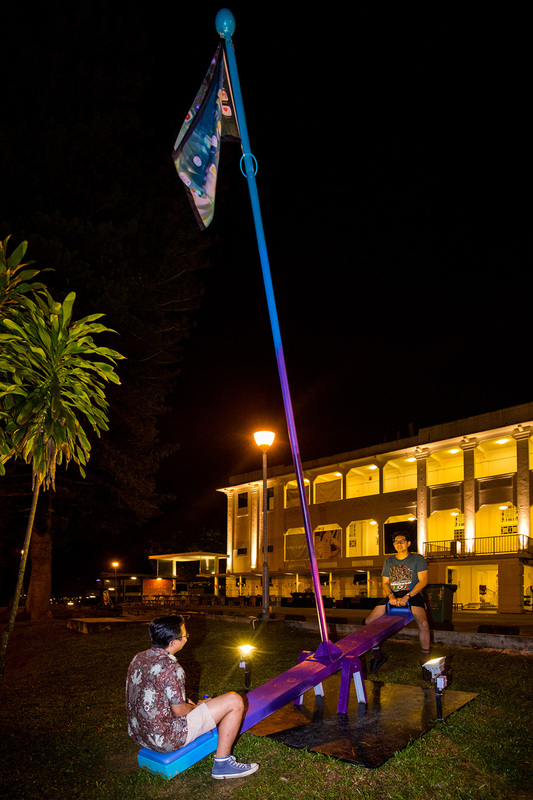 For DISINI, Anon Pairot explores the relationship between individuals and their homelands through flag sculptures. 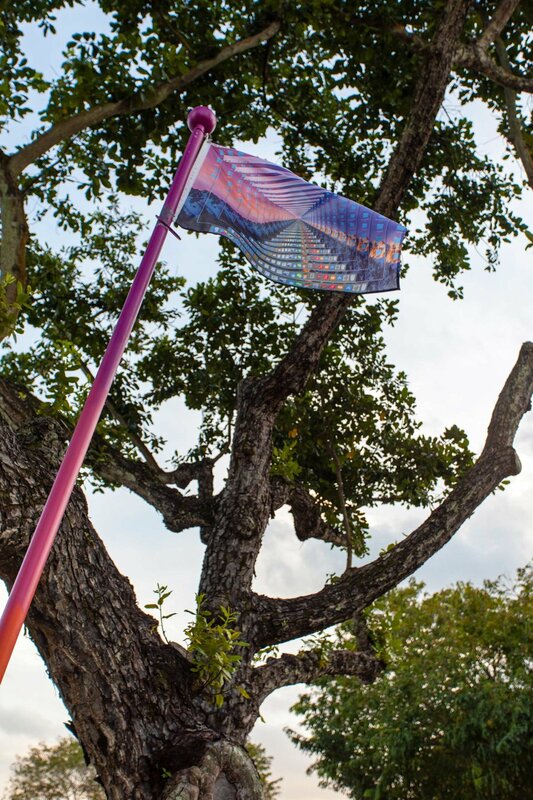 Each flag reflects a desktop screen-capture, personalized identity juxtaposed against an Operating System (OS) that is a gateway to post-national cyberspace. 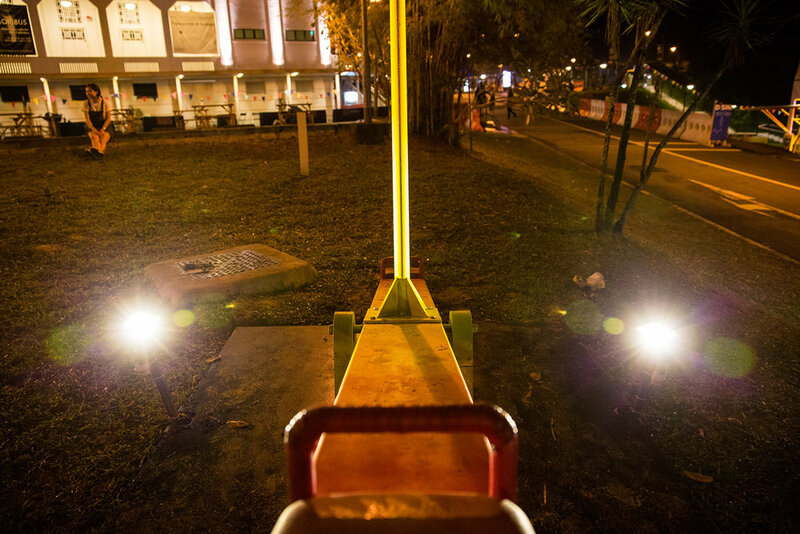 Audiences are encouraged to ride the seesaws, flying the flags they carry. 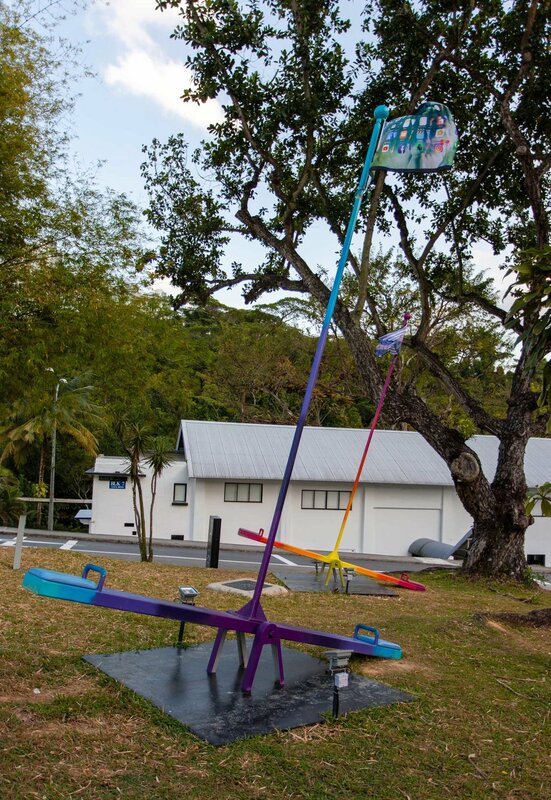 The unlikely combination of flags and seesaws underlines the groundlessness of contemporary social structures. Anon’s recent works have playfully engaged with outdated state apparatus such as walls, boundaries and weapon-based warfare. 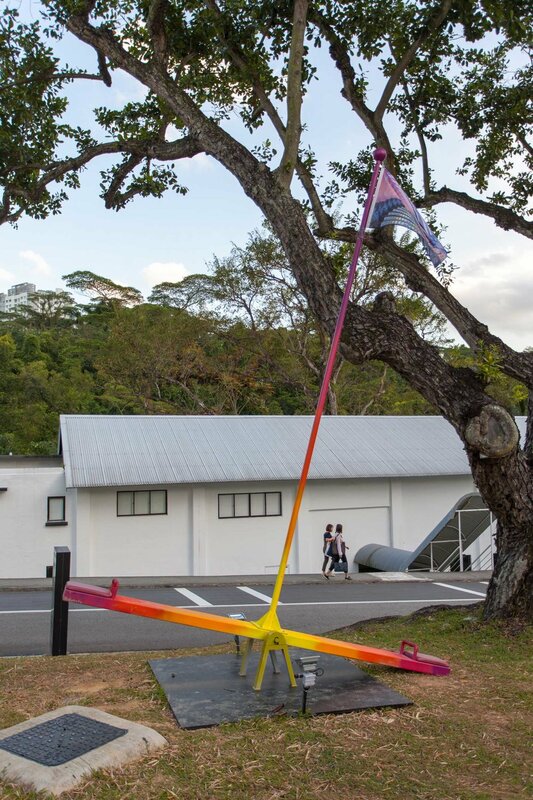 He has repurposed objects by changing their materials or functions, collaborating with communities that produced them. 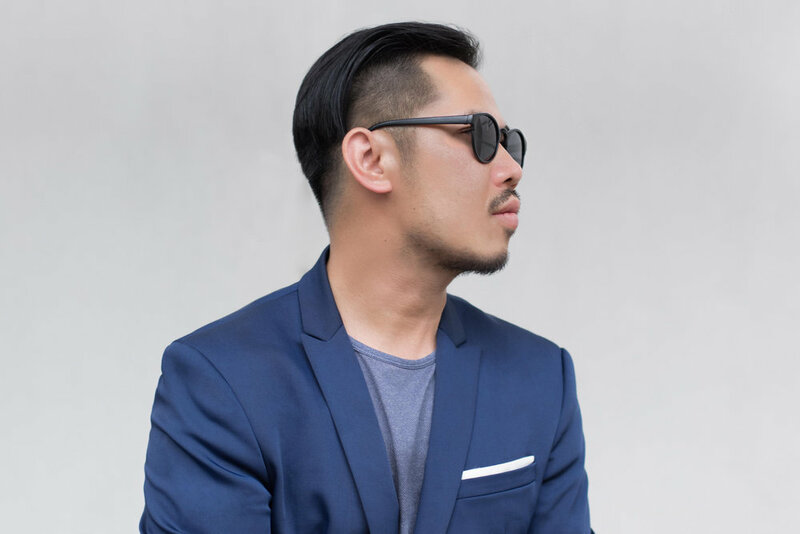 Anon graduated with a Mechanical Design degree from King Mongkut’s University of Technology North Bangkok (KMUTNB) and later specialized in industrial design. 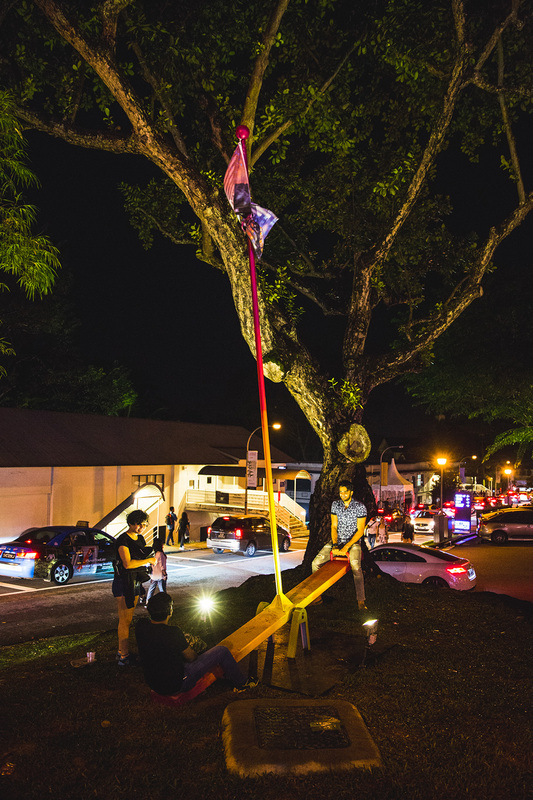 He presented Chiangrai Ferrari at the 57th Venice Biennale (2017) and his exhibitions include Weapons for the Citizen (2017) at Art Stage Singapore and Souvenirs from Depression (2016) at Gallery Seescape, Chiang Mai.